The holiday (party) season is upon us, and as our gift to you we’d like to stuff your recipe box full of new classics. 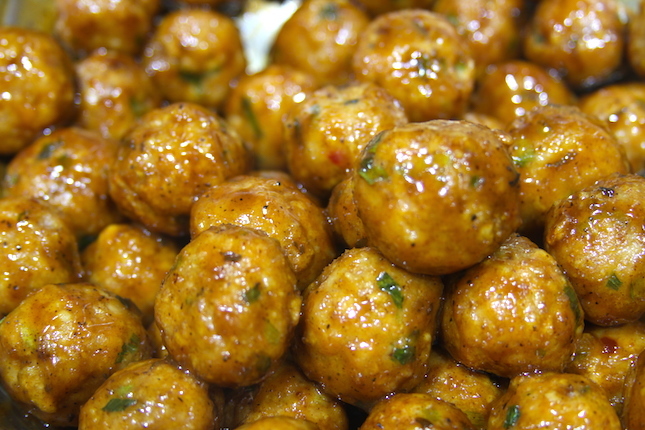 Try our Caribbean Jerked Chicken Meatballs Recipe and our Buffalo Bleu Cheese Chicken Meatball Recipe. Perfect for any holiday get-together. Step 1: Preheat your Yoder Smokers YS640 Pellet Smoker to 275ºF. 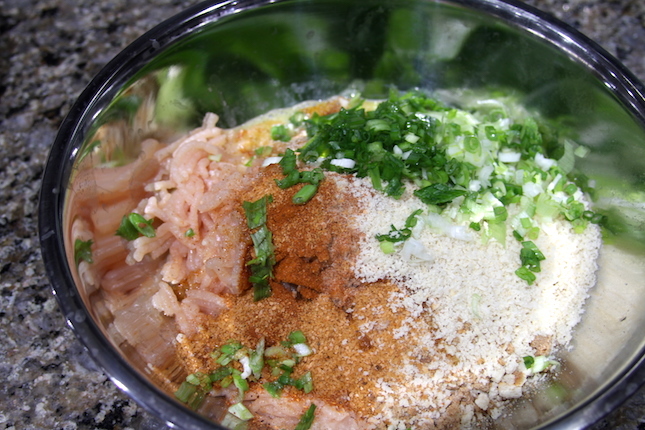 Combine all ingredients, except the wing sauce in the bowl of a stand mixer. Mix on medium for about one minute, until the mixture becomes tacky and holds together. 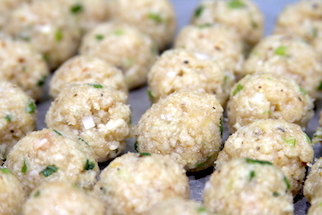 Form into about 20 (1 ounce) meatballs. 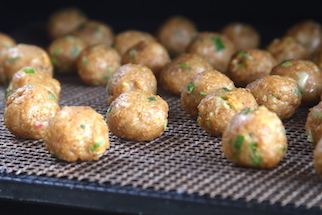 Step 2: Place meatballs on top of FrogMats on the grates of the smoker and cook until the internal temperature reaches 165ºF. Begin checking the internal temperatures after 30 minutes. We recommend using an instant read thermometer like the Maverick PT-100. Transfer the meatballs to a crockpot set to warm and toss the meatballs in the Pain is Good Buffalo Blue Cheese Screamin’ Wing Sauce. Hold warm for serving. 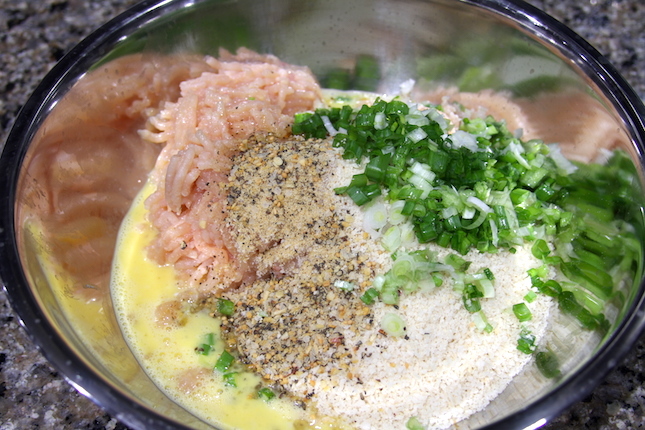 Step 1: Combine all ingredients in a blender or food processor. Blend until smooth. Adjust seasoning, as necessary. 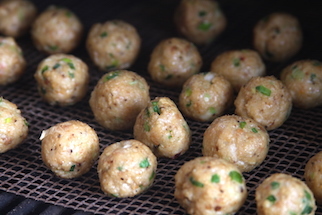 Step 2: Place meatballs on top of FrogMats on the grates of the smoker and cook until the internal temperature reaches 165ºF. Begin checking the internal temperatures after 30 minutes.We recommend using an instant read thermometer like the Maverick PT-100. 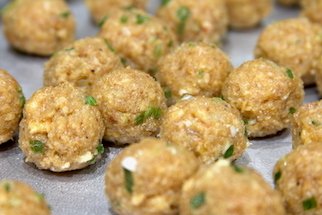 Transfer the meatballs to a crockpot set to warm and toss the meatballs in the Pain is Good Caribbean Jerk Wing Sauce. Hold warm for serving.